Happy New Year and Happy National Mentoring Month! Throughout the month we have seen posts, tweets and stories about the importance of mentoring. This is why The National Mentoring Partnership (MENTOR) and the Harvard T.H. Chan School of Public Health started National Mentoring Month back in 2002. National Mentoring Month focuses national attention on the need for mentors to ensure positive effect in young people. 1 in 3 young people will grow up without a mentor. Mentoring makes a difference, especially for underrepresented students who are interested in STEM fields. When students have science mentors it gives them the opportunity to learn about different science career options and build a positive support system. Since today is the last event of National Mentoring Month (#ThankYourMentor day) and this is my first blog post of 2018 what better time to share how mentoring has made an impact on my science journey. I believe in the impact of mentors and encourage you to mentor someone new. In honor of #ThankYourMentor day I am going to share a few of my mentoring experiences. Happy New Year! This time last year I talked about taking action. 2014 was a very busy year and I’m excited to see where 2015 takes me. I have many ideas and things coming up this year. I’m excited. After reading the #BLACKandSTEM major tweets roll call last week I was inspired to write this post. It was nice to see STEM career diversity. It’s time to share what we know. Let’s help each other! For the past few months I have been hearing a lot about alternative science research careers, specifically science policy, patent law, science communication and science journalism. About a month and a half ago I attended the Association of Women in Science (AWIS) Career Panel on Science Policy and Education hosted by the AWIS-Baltimore. This was a career panel of women in different policy and education positions. Science policy is the branch of public policy that is the bridge between science and the public. It involves scientific issues, education, advocacy and everything else that goes into science policy. A balance of writing, communication, and oral skills are key skills to have in a science policy position. In honor of Women History Month I decided to write a post to celebrate Dr. Françoise Barré-Sinoussi. 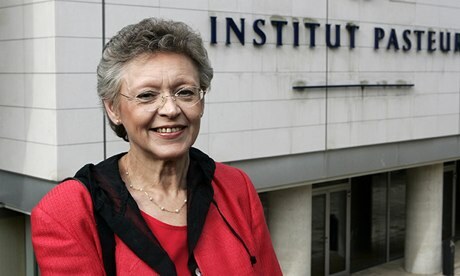 Dr. Françoise Barré-Sinoussi is a virologist, professor, and Director of the Regulation of Retroviral Infections Unit, Virology Department at Institut Pasteur in Paris, France. Dr. Barré-Sinoussi was born on July 30, 1947 in Paris, France. She was the only child and had a passion for science at an early age. When she entered undergraduate she decided to pursue a natural science degree because she wanted to make discoveries. Shortly after she began to work in the laboratory with Jean-Claude Chermann at the Pasteur Institute studying retroviruses and cancer in mice and completed her Ph.D. there. In 1975 she was offered a fully funded research position supervised by Montagnier. Since I am interested vaccine and infectious disease research I wanted to showcase Dr. Françoise Barré-Sinoussi’s cutting-edge contributions to science in the field of disease transmission, immunity, and virology. In 2008 two of the greatest discoveries were honored. 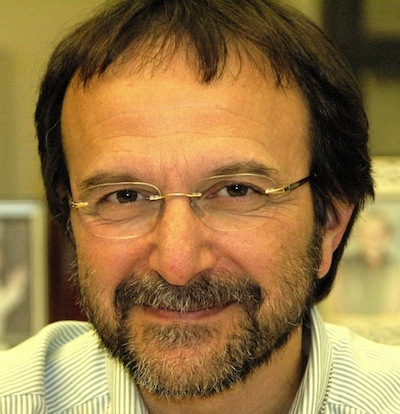 2008 was the year the Nobel Prize in Physiology or Medicine was shared with three scientists. Harald zur Hausen has 1/2 of the Prize share “for his discovery of human papilloma virus causing cervical cancer”, Françoise Barré-Sinoussi has 1/4 of the Prize share and Luc Montagnier has 1/4 of the Prize share “for their discovery of human immunodeficiency5 virus”. As stated on Nobelprize.org website,”It was identified in lymphocytes from patients with enlarge lymph nodes in early stages of acquired immunodeficiency, and in the blood from patients with late stage disease” To learn more about the discovery check out the nobelprize.org.